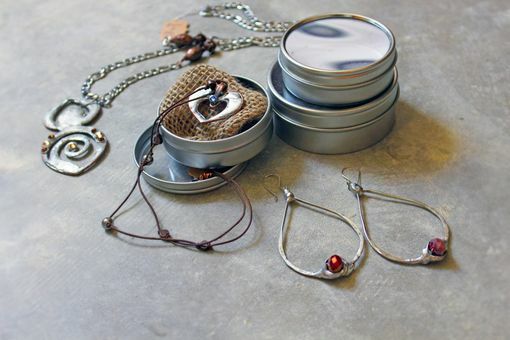 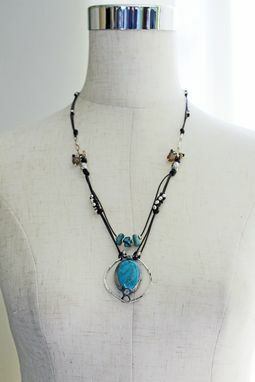 If you have a penchant for unique, one of a kind pieces of jewelry this necklace may be the perfect accessory for you. 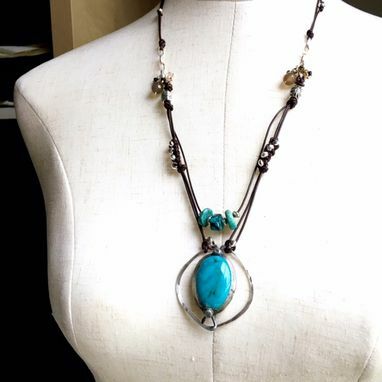 This gorgeous sterling silver wire and silver solder framed turquoise cabachon dangles on a long leather cord necklace at 27"L, with the pendant being 2" X 1 3/4". Designed in elegant boho style this necklace has a wonderful artisan appeal to it with lovely petite sterling silver beads knotted and braided into the soft brown leather along the sides of the necklace. 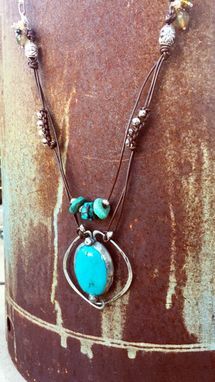 A single cluster on each side of the necklace is a pop of warm earth toned agate and tiny crystals. 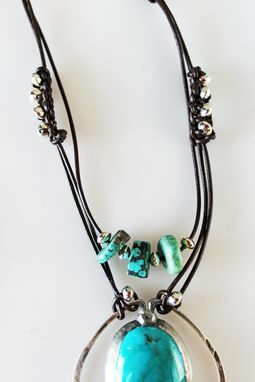 Each bead is hand wire wrapped and bunched together to create some unexpected sparkle. 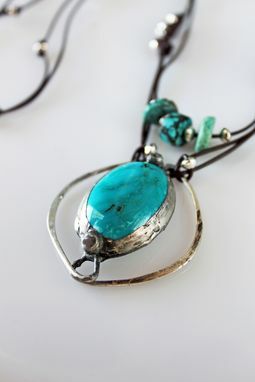 A gorgeous bright blue turquoise cabachon has been cut and polished to a beautiful shine by a local lapidary artisan then beautifully framed in a handcrafted soft silver solder and sterling frame.